The holiday creep is pushing at its boundaries again. I’ve personally seen Christmas products come through the store. It’s depressing. Soon that “Christmas in July” silliness will be a for reals thing. 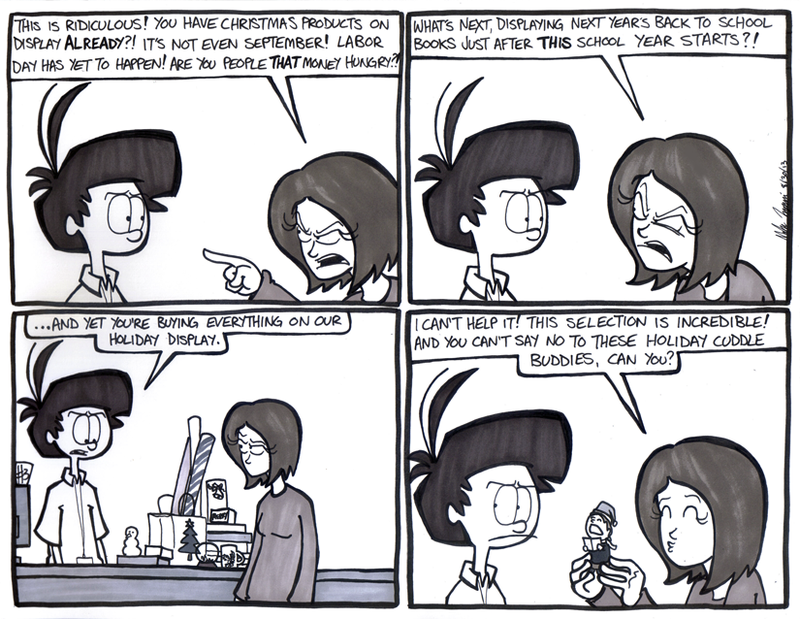 Us retail people aren’t the only ones who complain, customers chime in too. But I find it fairly hypocritical of them to voice those objections. They’re a huge percentage of the reason why we push this holiday stuff out so quickly. They buy it, and it causes more demand, then they buy some more, and THEN they complain that WE’RE at fault?